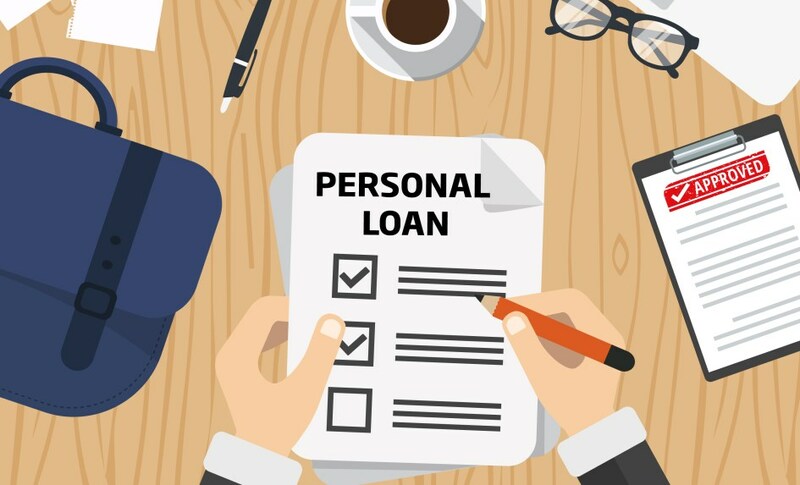 The personal loan is a type of loan in which you get money within the shortest amount of time without mortgaging any valuable thing to the bank. You can use the personal loan amount for any private and legal purpose like a vacation, marriage, education, medical emergency etc. To secure a personal loan, you must be employed and able to pay back the loan amount. Bank checks your credit score to ensure that you are able to pay off the loan amount. This loan can be beneficial to you only if you take care of some particular things while getting it. People usually remain vigilant till their loan application is accepted and after that, their excitement level makes them forget about other necessary details for which they regret later. But you don’t want to be one of those people, right! Let’s glance ahead to know about the mistakes which you should avoid while taking the personal loan. Some of them are minor mistakes but, you can avail better loan by avoiding them. Credit history or score holds a prominent position in secure a personal loan. Remember that the bank is taking a big risk by lending the money without getting any collateral security from the borrower. So they check credit score in order to judge an individual’s creditworthiness. Before applying for the loan, you must check your credit score online in order to avoid rejection. Applying in another bank after one personal loan application rejection will be a more time-consuming process. Thus, it’s better to check your score and perform certain tasks to increase it accordingly before getting rejected. In cases of immediate needs, people usually apply for too many personal loans at the same time. It can be dangerous for your credit score as sometimes a hard inquiry is done to check your credit points by the bank. Numerous inquiries can be dangerous for your credit score. In addition to this, banks would hesitate in lending the money to such people who appear hungry for funds. At the time of taking the loan, we usually become slightly greedy and choose an amount which is more than our actual requirement. We think that it is beneficial for other expenses but, the high amount can be a burden while paying off. Banks fix the interest rates on the basis of our loan amount. Hence, you should stick to a basic required amount for acquiring low-interest rates. Nowadays, People are investing much time in thinking about how to do fraud to extract high amounts. These fraud people look so reliable in starting and provide you with very exciting loan offers which you can’t find anywhere else in the market. Contrarily, they trap you by adding certain terms in loan contract through which you have to pay high interest rates and other charges. So for your safety, you should take the loan from known banks and sources only. You can opt for reliable personal loans like IDFC Bank personal loan. In haste, many of us accept the personal loan offer which we are getting without any hustle. One of these easy methods is via referral. Yes, people can get a personal loan through referral as well but, in that procedure, the interest rates are higher. In such cases, we don’t search properly to get better rates and take the loan from that lender instantly. We should not be impatient while taking the loan as we can save our money by being a little bit more vigilant and selective. It’s good to fulfill all your dreams but, taking a loan for some less important things is not a wise decision. Yes, we can take a personal loan for any purpose. Still, you should think twice before getting into loan procedures. You should avoid taking a loan for new accessories, purposeless trips, unrequired furniture etc. as you have to pay back a certain extra amount in the form of interest. Instead of taking the loan, you should start saving to fulfill your luxurious desires. Reading each point of the agreement papers of loan is very important for every borrower. We know that the task of reading 2-3 long pages written in a difficult language is way too boring. Feeling sleepy even after thinking about it? Don’t be lazy; you have to read it no matter what. There can be some terms which the bank representatives must have hidden from you for the bank’s benefit. You have to be smart enough to have an in-depth reading and find them before signing anything. However, it’s not always the same case. Sometimes the bank representatives forget to mention a few points which can be very important for you. So, don’t repeat this common mistake. People opt for long loan repay tenures in order to get a small amount in each EMI. You should know that it is ultimately your loss in repaying the loan in longer tenure. It will cost you more amounts due to interest rates as compared to shorter tenure. Some banks don’t offer short tenures for their personal benefits. For instance, you can select your tenure from the range of 1 to 5 years in IDFC Bank personal loan. Hence, be wise and smart while taking the personal loan and avoid the highly repeated mistakes to stand out of the crowd. After all, your hard earned money is way more precious. Good luck with your personal loan!